Check out the 2018 Southern Landscapes Exhibition at the South x Southeast Photogallery in Molena, Georgia! The Exhibition will hang from September 1st through September 30th. The photograph American Dream was selected by Juror Molly Roberts, Senior Photo Editor at National Geographic Magazine, for inclusion in the Southern Landscapes exhibition at the South x Southeast Gallery in Molena, Georgia. The Opening Reception is scheduled for Saturday, Spetember 2nd, from 5-7 pm. Be there or be square! Please join us at Journey's Eye Studio for an intimate evening with Tennessean, Angela Martin; the award-winning, fine art photographer, blogger, and author of My American Dream. A widely-traveled native of Kentucky, Angela is a southern artist with a uniquely emotional, organic, and painterly style. Her work in a variety of subjects, from nature and landscapes, to architecture and composites, raises questions about the relationships amongst sense of place, memory, nostalgia, and experience. 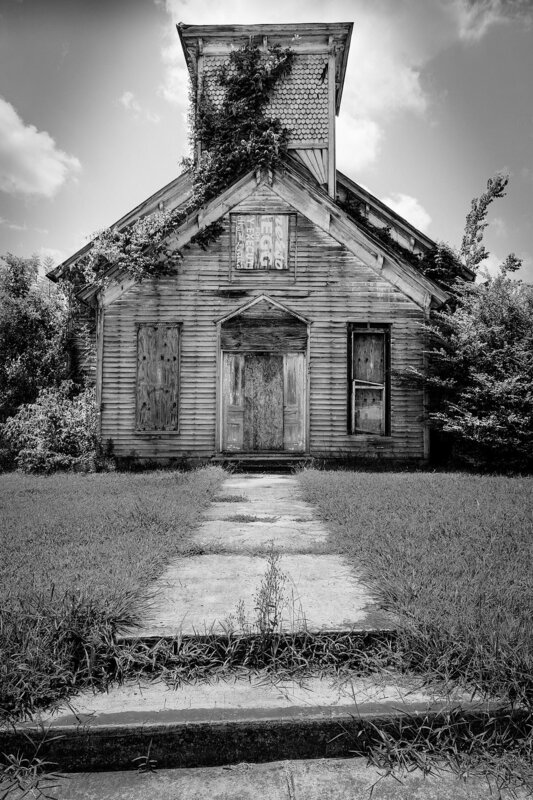 Angela will give a talk about her work and perform a reading from her forth-coming, debut book, My American Dream: Finding a Second Chance at Life in Photographs of Abandoned Places (advanced copies will be available for sale and signing). A selection of Angela's photographic prints in archival-quality pigment inks on heirloom-quality media, including dry-mounted paper, metal, and canvas will be offered for sale. Buy a set of postcards for a chance to win a free photographic print of your choosing. Drawing to be held October 27, 2017. One entry per set purchased. Buy your set here. If you're in the Greenville, SC area on this date please drop in to the event at the Southeastern Center for Photography. I would love to meet you! Check out all of the photographs selected for the Forsaken Exhibition here.